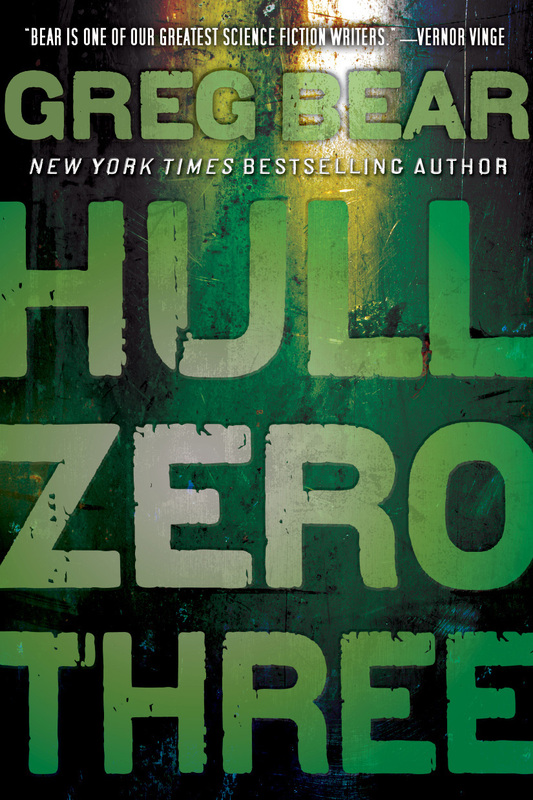 Dan Simmons: "Greg Bear's voice is a resonant, clear chord of quality binding some of the best SF of the 20th Century to the short list of science-savvy, sophisticated, top-notch speculative fiction of the 21st. 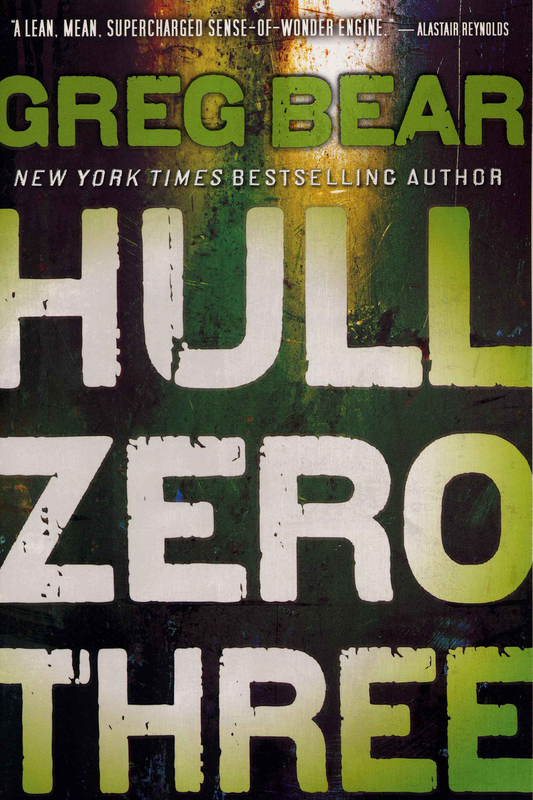 More than a grace note, Hull Zero Three is a compelling allegro in the growing symphony of Greg Bear's finest work." E-Reads: Cold, Wet and Naked on a Strange World. 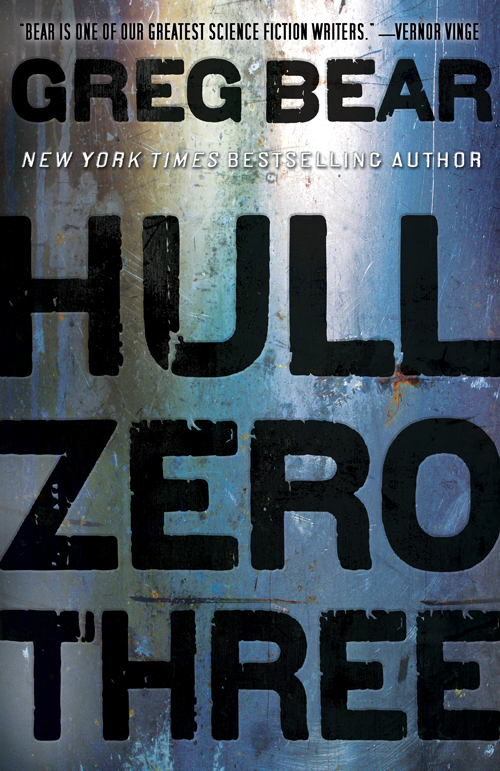 Publishers Weekly: Starred Review. Multiple Hugo and Nebula winner Bear (City at the End of Time) sets this difficult but rewarding short novel on an interstellar colony ship gone astray. Teacher was supposed to be awakened just before landfall. What he finds when he gains some semblance of consciousness, however, is a dangerous and chaotic environment, with monsters roaming the ship's corridors and no one in charge. As he and a small band of equally ignorant crew members attempt to reach the gigantic ship's control center, they travel through a series of labyrinthine spaces, uncovering a variety of clues to the disaster that has destroyed large parts of the starship and damaged the controlling AIs. Not for those who prefer their space opera simpleminded, this beautifully written tale where nothing is as it seems will please readers with a well-developed sense of wonder.